Now we have made it even better by introducing task estimates, improving time log entry, time log export and revamping project reports. Adding estimated time can be very useful when we’d like to compare it with the actual time spent to complete a task. After adding a task just click on the ‘clock’ icon to enter estimated time. 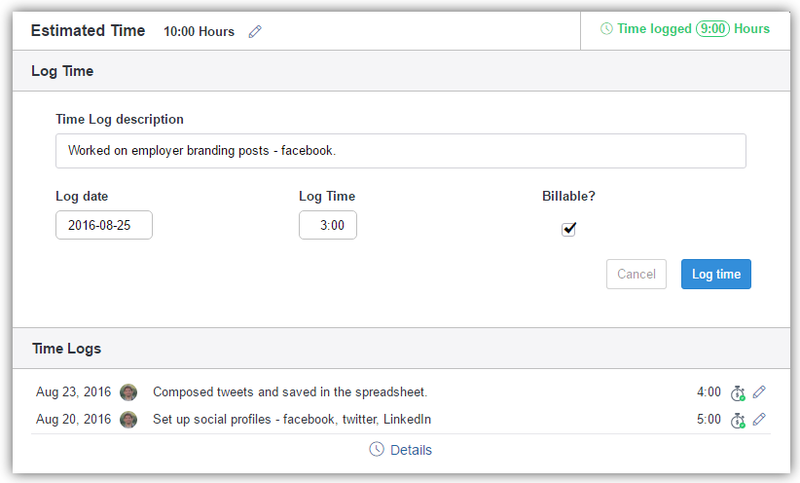 Log time spent on tasks and check out the previously logged time for the same task by clicking on the ‘clock’ icon. Create and download reports for a specific project by accessing the ‘Time Log‘ section of the project. These reports will be downloaded as ‘.xlsx ‘ files and you’ll be able to upload them to your favorite invoicing app. Create report to compare estimated time and actual time spent on task completion. 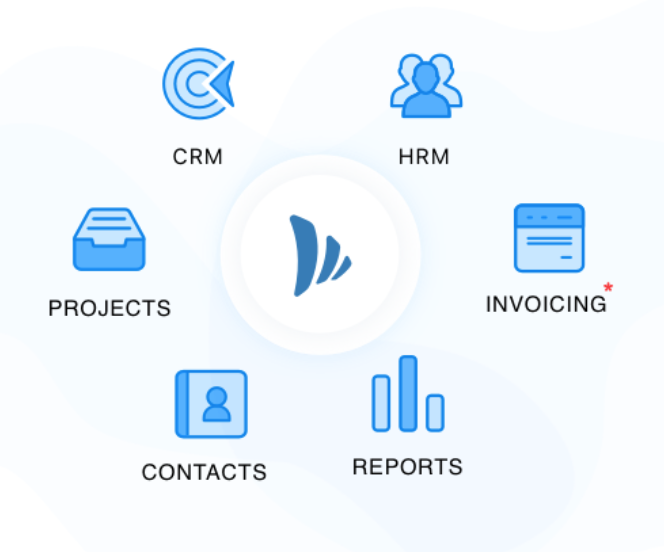 We have a major upgrade in our advanced reports (project management application) and it will deliver significant value to project admins and account owners. All of the reports have been categorized into three broad sections – project specific, user specific and time log specific. They will provide quick insights on the project progress, productivity, time logs and help you spot trends with a few clicks. 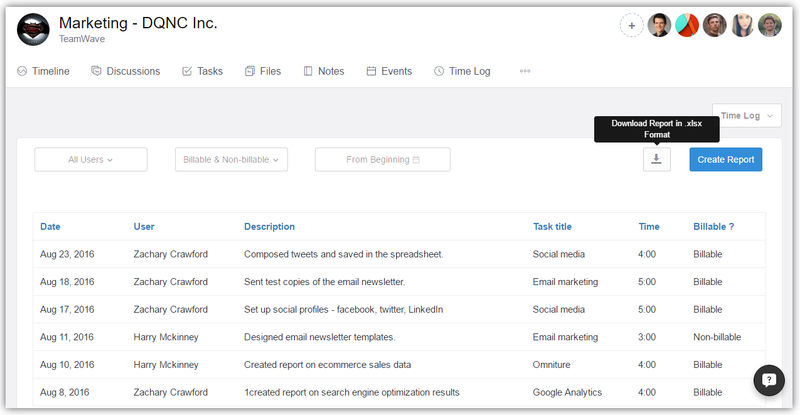 You’ll also be able to download reports by filtering projects, clients, users and selecting time period. For example, the ‘time log timeline’ report shows the time logged for each project over a particular time period. It’ll help you answer questions like – for which project billable hour has been continuously increasing, decreasing or progressing without any change. To understand universal reporting in greater detail, check out the following video. ← How to Handle Sales Objections?